Hello everyone, I have been so inspired to take shots and scrap lately and did some errands yesterday. I was at the mall yesterday, i'm looking for entry and that I will put here at my store but found none. Anyway,I can't believe I've been taking shots each day so that I can have an entry for my Project 365 at Flickr. Though I have missed 3 shots (for 3 days) but now I am managing to religiously take a photo. I posts my entry here and at my Flickr account, hope you can take a peek (lots of photos there). I am also scrapping my shots daily and hopefully I can finish them till the end of next year. BTW,It's an ambitious project that I am doing, scrapping all the photos by week. I will share my layouts soon when I finish with the journalling. Anyway, here is my entry for Day 30. 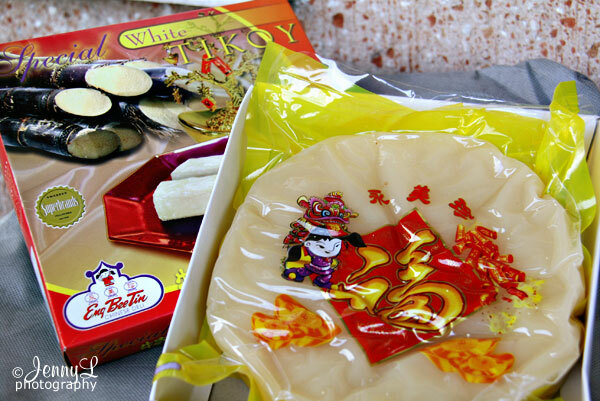 My brother bought about 4 boxes of Chinese TIKOY and some HOPIA at ENG BEE TIN store in Binondo yesterday bec. passed by the area. We ate some yesterday for snack and ate this for breakfast this morning. And right now I am again eating some of it for my afternoon tea. YUM!